for private groups and individuals. Chesapeake Yoga & Wellness is a mobile yoga studio that offers classes tailored to an individual's or group's needs and lifestyles. Julie can travel to your location, or help find a location suitable for your class or event. Yoga mats and props are included! - Corporate Wellness: A perfect opportunity for businesses to integrate a wellness program for employees. - Retreats: Create a one- or multi-day retreat with yoga paired with other activities including biking, stand up paddle boarding, kayaking and other specialized activities. - Community Classes: Offer classes in your community center. - Yoga Fundraiser Events: are a fun way to raise money and awareness for your favorite charity. Julie has been involved in planning a number of Yogathons, raising thousands of dollars for a good cause. 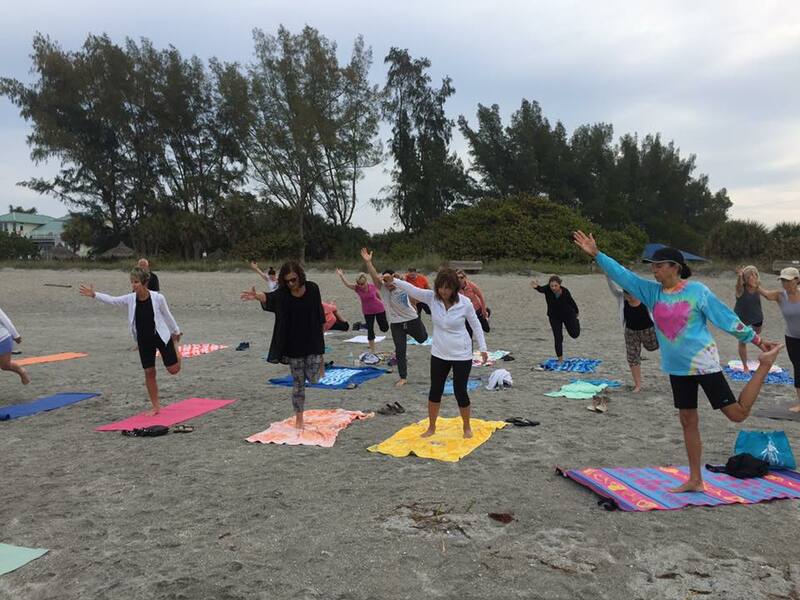 Enjoy an All-Levels Yoga Class under the sun, looking over the Gulf of Mexico on the south end of Siesta Key. Bring a towel, mat and some water, and your love of the outdoors. Classes are a $5 minimum donation. Beach classes are held just off the ramp of the north parking lot, adjacent to the camp grounds. In the case of rain, high winds, red tide or cold weather, the class will be held in the Turtle Beach Community Center. Look for details on this page or register for email notices about upcoming events.